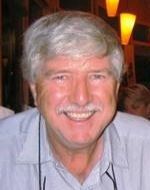 Russell Birrell is a geologist with 41 years of global multi-commodity mineral exploration and research and development experience. He has worked with numerous Australian and international mining houses and government research bodies exploring across 40 countries. He has a successful record of multi-commodity discovery within a number of mineralization settings and terrains including gold, copper-lead-zinc, tin, tantalum, lithium and manganese. Russell has been working on the development of ionic soil geochemistry analysis since the 1990's. Russell has authored/co-authored numerous company reports, R&D reports, and published scientific papers as well as presenting to senior management, company shareholders, and international scientific conferences and industry conventions. A better understanding of mineral and petroleum systems, the behaviour of ionic particles within the earth’s crust and regolith, and the development of low-level cost effective analytical technologies, presents a unique opportunity for significant innovation in surface exploration geochemistry. Recognition of extensive lithochemical anomalies and geochemical halos characteristic of large mineral systems at depth is advancing and is proving effective for improved drill targeting. The ability to identify these distinguishing ‘fingerprints’ of deep mineral systems at surface presents a unique opportunity for explorers to extract more value from the lowest cost, least invasive exploration samples they will generate – surface soil samples. High precision multi-element analyses can now identify ‘natural backgrounds’ in soil samples enabling s more meaningful interpretation for recognition of mineral systems at depth and improve drill hole collar positioning.